The Air Canada Centre (located in downtown Toronto) is home to the Raptors and the Maple Leafs, and also hosts many touring musical acts. If you’re not lucky enough to secure tickets to a game, another must-see in Toronto is the Hockey Hall of Fame. Both a museum and a hall of fame, the Hockey Hall of Fame is a shrine to the heroes of ice hockey. Visitors can delight in interactive exhibits (including a practice net), life-size statues, a replica dressing room, theatres (playing famous ice hockey footage) and a broadcasting booth. There’s also a gift shop so you can take home some hockey memorabilia to remind you of your trip to Toronto. 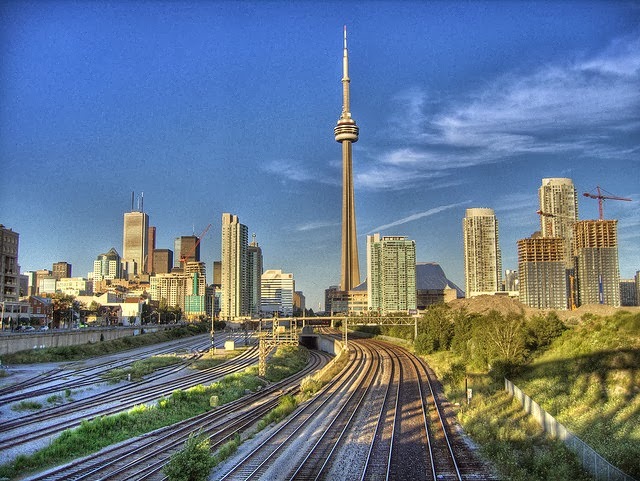 Arguably the most popular tourist attraction in Toronto is the CN Tower. Standing tall at a whopping 533m, it’s the 5th tallest free-standing structure in the world. When the weather is good, visitors to the top of the tower can see all the way to the city of Rochester (across Lake Ontario) in the USA, and the dramatic mist of Niagara Falls. And if all that scenery makes you hungry, why not grab a meal at 360 Restaurant for a once-in-a-lifetime view? Alternatively, the EdgeWalk attraction gives thrill-seekers the opportunity to walk (hands-free) around the edge of the CN Tower’s main section- 356m off the ground. For a completely different kind of tower- a turret, in fact- visit Casa Loma, a beautiful old castle in Toronto. The castle was built from 1911-1914, and highlights include several grand rooms with opulent furnishings, secret passageways, an underground tunnel and majestic gardens. Art lovers simply must visit the Art Gallery of Ontario (AGO) in downtown Toronto. It is one of the largest in North America and boasts more than 80,000 works in its collection- ranging from the year 100 AD to the present day- spread over its 45,000 square metres. If you’re on a tight budget, visit the gallery on a Wednesday from 6-8:30pm, when entry is free! For a history lesson with a twist, visit the Royal Ontario Museum (ROM) located in the University of Toronto. Founded in 1912, ROM boasts over 6 million items and forty galleries that focus on world culture and natural history. Highlights include a dinosaur exhibition, minerals and meteorites, fossil collections and fine art collections (including Art Deco clothing and furnishings). St. Lawrence Market and Kensington Market are 2 of the most famous places eat and shop in Toronto. Housed in two giant Victorian buildings, the St. Lawrence Market is a foodie’s dream- with a huge variety of fresh produce, restaurants and take-away meals. In 2012, National Geographic named it the best food market in the world. Kensington Market is a multicultural wonderland- its restaurants, bars and shops overflow with history and culture from all over the world. It’s also a great place to shop for vintage clothing. If you visit Kensington Market on the weekend, don’t be surprised if some of the streets are closed and the sidewalks are teeming with people- the whole area takes on a bohemian party atmosphere. In 2006, Kensington Market was declared a National Historic Site of Canada. Toronto’s parks and gardens provide a serene escape from the hustle and bustle of the downtown area. High Park is rich with natural beauty and is a great place to relax; but also offers a variety of outdoor activities including ice-skating, baseball games and nature hikes. Another great place to unwind, have a picnic, or read a good book is Edwards Gardens. It is the site of the Toronto Botanical Gardens and features a variety of landscaped and manicured settings. After a walk or a cycle around the park, you’ll be revitalised in no time and ready to explore more of the city. 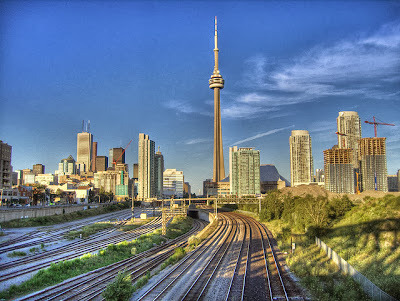 Book some flights to Toronto today and experience these activities for yourself. You can get experienced travel advice from international consultants including Flight Centre, to help plan all aspects of your trip. Author Ross Hope+ visited Toronto when his band was nominated for the Canadian indie music awards.